I just realized that it has been a month since I last updated this blog. Bad social media etiquette, bad! However, I shall make things right by taking a few minutes to put up a short post. Basically, I can’t keep up! I’m trying hard, but it seems like as soon as I have things under control, they spiral out of it again! I have been blessed with attracting some great people to work with. Katie Freeman and Allison Margharitis have been editors extraordinaire as of late. 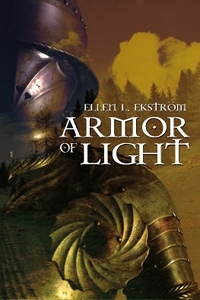 Katie just completed Ellen Ekstrom’s ARMOR OF LIGHT, which we just released in print this past week. Allison is busy working on some of our backlist while we bring all our titles up to the same quality as our new ones. I was also extremely proud to have worked once again with Christopher Bradford – a design guru who created the cover for ARMOR. Speaking of ARMOR OF LIGHT, it represents our fourth title in print, after THE HAMBLEDOWN DREAM, ALL IN GOD’S TIME, MY SONS and AMANDA IN ARABIA: THE PERFUME FLASK. They are all truly excellent books, in a variety of genres, and I’m proud to say that they are all doing well – in large part due to the tireless work of their authors! Currently for June, we are working on releasing a young adult, slightly paranormal, novel about an eclectic group of people who raise and train dragons. It’s a fantastic story, and I’m very impressed with the writer – Diane Nelson; her talent will be quite apparent once you read her writing. The cover is just being finalized and it should be released in the next week or so. We’re also re-releasing Ami Blackwelder’s GUARDIANS OF THE GATE, under the title THE GATE OF LAKE FOREST. This is the first book in a series, the second of which will be released later this summer. Speaking of talent and new books – we have had an amazing number of submissions and new writers contact us. I am trying to keep up with reading each and every submission, however, time seems to be getting away from me. I ask any new author looking to submit to please go ahead, but bear with me as I plow through the growing virtual stack of submissions. I hope this spring has treated you all well, and I’m looking forward to a summer of getting organized, reading some great new books and helping my amazing authors as best I can. As always, we welcome questions and comments, so feel free!